ANDY'S NOTE: Steve has been kind enough to lead us on tours during our FRUIT HUNTING TOURS OF PINE ISLAND in the past, and we look forward to more. Details will be posted in our "EVENTS" section when we set exact dates. Steve guided us on a detailed, casual walking tour, and with fruit-picker in hand, we filled our bags for purchase. He is often too busy with his fruit stand, fruit tree deliveries, etc., so we were very fortunate to get a chance to spend some time with him out in the orchard. Thanks Steve. DESCRIPTION: “Owner's, Steve Cucura, together with Jesse Avolos has created a Tropical Fruit Paradise with Fruitscapes. With their dedication and knowledge of tropical fruit trees as well as their trusted, informed and well managed staff every tree is cared for from sprout to ripeness. As a customer you can look forward to all the varieties of trees you have grown to love as well some new ones. 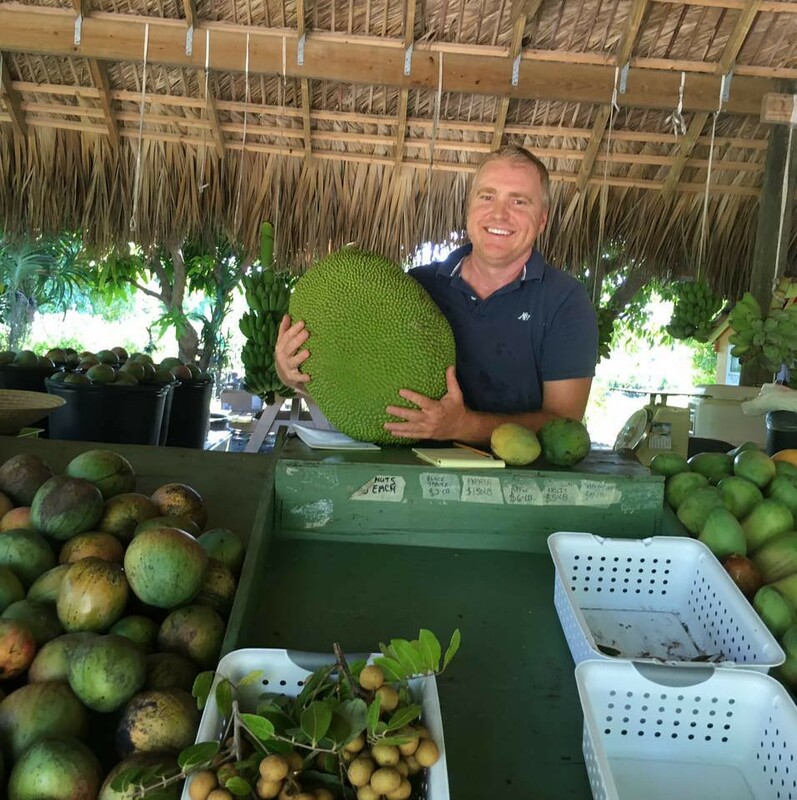 A member of the Rare Fruit Council, Fruitscapes Nursery embraces diversity, manifested by dozens of varieties of mango's and a collection of rare tropical fruits not found anywhere else. We are consistently adding exciting edibles and ornamental's to our offering."